(NaturalNews) Rice grown in the zone surrounding the still-radioactive Fukushima Daiichi nuclear power plant will now be sold in London grocery stores, the European Union (EU) announced in late June. In March 2011, the Fukushima plant suffered multiple meltdowns after being struck by a massive earthquake and tsunami. It was the worst nuclear disaster since Chernobyl in 1986, and only the second nuclear accident to receive the highest possible rating on the International Nuclear Event Scale. The explosions scattered radioactive material across the area surrounding the plant, an area of Japan formerly famous for its agricultural production of crops from rice to peaches. Regulators claim the food is safe, but is it? Following the disaster, the EU and many other countries banned food imports from the Fukushima area, due to concerns about radioactive contamination of food. The primary concern, as far as regulators are concerned, is the presence of radioactive isotopes such as Cesium-137 (Cs-137), which likely contaminated the soil following the disaster, and could later have been taken up by growing plants. Cs-137 has a half life of 30 years, and takes centuries to decay to non-detectable levels. If ingested, it remains in the body, where it continues its radioactive decay and continually exposes the body to internal radiation. In recent months, the EU has begun lightening its restrictions on foods from Fukushima, with the first fruit imports allowed as of January. The United Kingdom will become the first EU country to import rice from Fukushima. Despite its recent popular vote to exit the EU, the United Kingdom is likely to remain part of the union for several more years. EU rules will require all rice from Fukushima to be tested before import, to make sure that they do not contain any radioactive isotopes. According to conventional regulatory wisdom, this is enough to guarantee the safety of food, even if it has previously been exposed to radiation. But, organic food advocates have raised concerns that irradiation may modify the nutrient content of foods, possibly creating dangerous free radicals that can themselves cause cell and DNA damage. Under the terms of the recent agreement, 1.9 tons of a Fukushima rice variety called Ten no Tsubu will be imported into the United Kingdom for sale by London retailers, wholesalers and restaurants, including high-end Bond Street restaurant, Tokimeite. This will make the United Kingdom the third country to import Fukushima rice commercially, after Singapore and Malaysia. The opening of London markets to Fukushima rice came after a long campaign by Fukushima farmers, who are seeking to change the global perception of their products as being tainted by radioactivity. "It's bright news for Fukushima, which has been struggling with the import restrictions. We will make further efforts so the restrictions will be lifted entirely," said a spokesperson for an office in the Fukushima government. Fukushima farmers announced their intention to seek more markets for their products. "With the UK as a foothold, we hope to expand the sale of prefecture-produced rice to other EU member countries," said Nobuo Ohashi of the farmers group Zen-Noh. 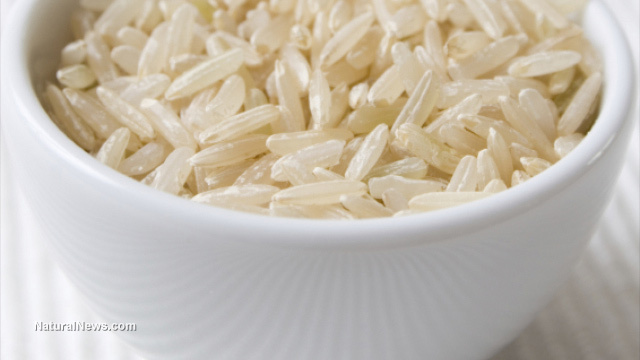 "We would like to expand Japanese rice exports not only to the UK but also to the world, by enabling Japanese rice to be tasted in the UK," the group's PR manager, Seiichi Niizuma, said. The decision is part of a larger trend of officials seeking to change the public perception of Fukushima. In March, the US National Academy of Sciences said that most seafood caught off the coast of Japan can safely be eaten. "The overall contamination risk for aquatic food items is very low," the academy said in a report. It remains to be seen whether consumers will trust such official assurances. Acceptance may be hampered by a recent admission that Fukushima operator, Tokyo Electric Power Company (TEPCO), actively covered up the fact that the plant was in meltdown for a full two months after the disaster. "I would say it was a cover-up," TEPCO president Naomi Hirose said. "It's extremely regrettable."